BEIJING, Sept. 19 (Xinhua) -- China has achieved unprecedented historic progress in the human rights cause and is willing to cooperate closely with all parties in the world human rights field, a senior Communist Party of China (CPC) official has said. 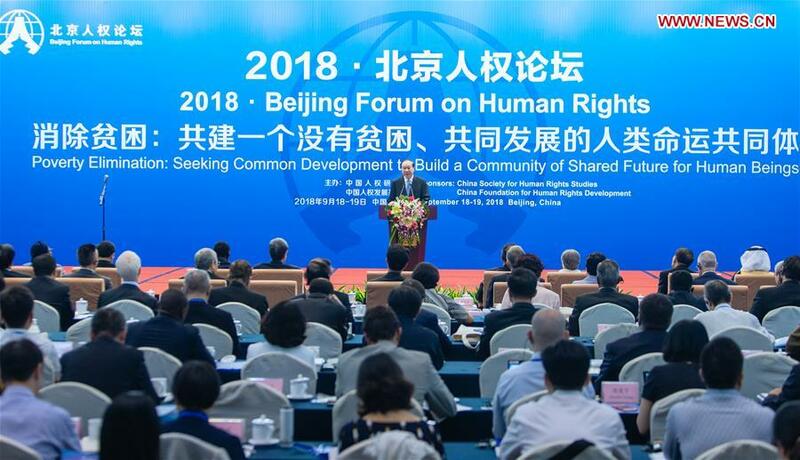 Huang Kunming, a member of the Political Bureau of the CPC Central Committee and head of the Publicity Department of the CPC Central Committee, made the remarks in a speech at this year's Beijing Forum on Human Rights, which opened Tuesday. Noting that "to respect and protect human rights has been a consistent stance and proposition of the CPC and Chinese government," Huang said that over the last 40 years, China had combined common principles in human rights protection with the country's reality. "The understanding of human rights has been deepened, and practices in this regard expanded," Huang said. "Also, as the world's biggest developing country, China has always been a vigorous proponent and strong promoter in the global poverty reduction cause." First held in 2008, the forum is attended by more than 200 officials, scholars and personages from about 50 countries, regions and international organizations this year.